Ooooooooooh man, today is a BIG DAY! 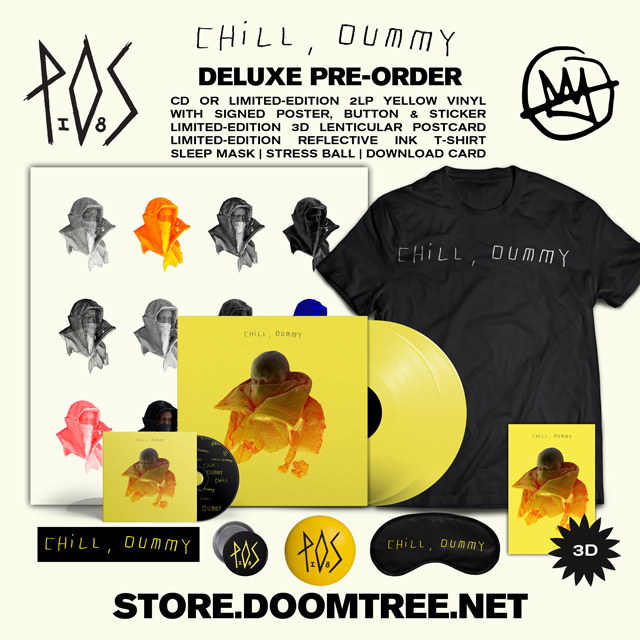 It brings me unprecedented joy to announce the details of Chill, dummy, the brand new full-length album from P.O.S out digitally and on CD this January 27th from Doomtree Records!!! Don’t worry vinyl heads, the double LP comes out on 3/17. OK, where to begin? That’s the insanely awesome album cover up above, featuring photography from the tremendously talented Brian Hart and lettering from one of our favs Crystal Quinn. Now let’s jump right into the new music. Check out lead single “Lanes” below to get a taste of what Stef has in store for you with Chill, dummy. Shouts to the good people over at Consequence of Sound for world premiering it earlier today. You can read all about what they had to say right HERE. P.O.S on the raps and the sings and and the crushing beat at the SAME. DAMN. TIME. Bump it. Soooooo good! And if that wasn’t enough to get you pumped, here’s a super sweet vizual from the Promo Video God himself, Ander Other. Watch this and get both physically and mentally AMPED. Alright, what’s a new album without a new totally over-the-top pre-order campaign? 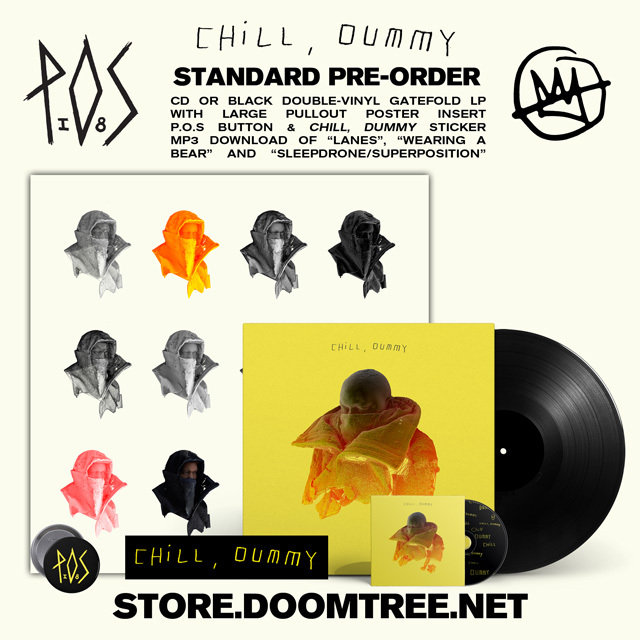 We’ll start things off with the excellent Chill, dummy Standard Pre-Order option. Check it. NICE ONE. Great for any budget range. If you really want to step things up though in a major way, you gotta go with the Chill, dummy Deluxe Pre-Order option, featuring some items that even I can’t believe we’re making. Check this bad boy out. Stress balls!!! I’m so excited for that. You can learn all about every different pre-order option and place yours over at the Doomtree Webstore right HERE. ‘Preciate you. 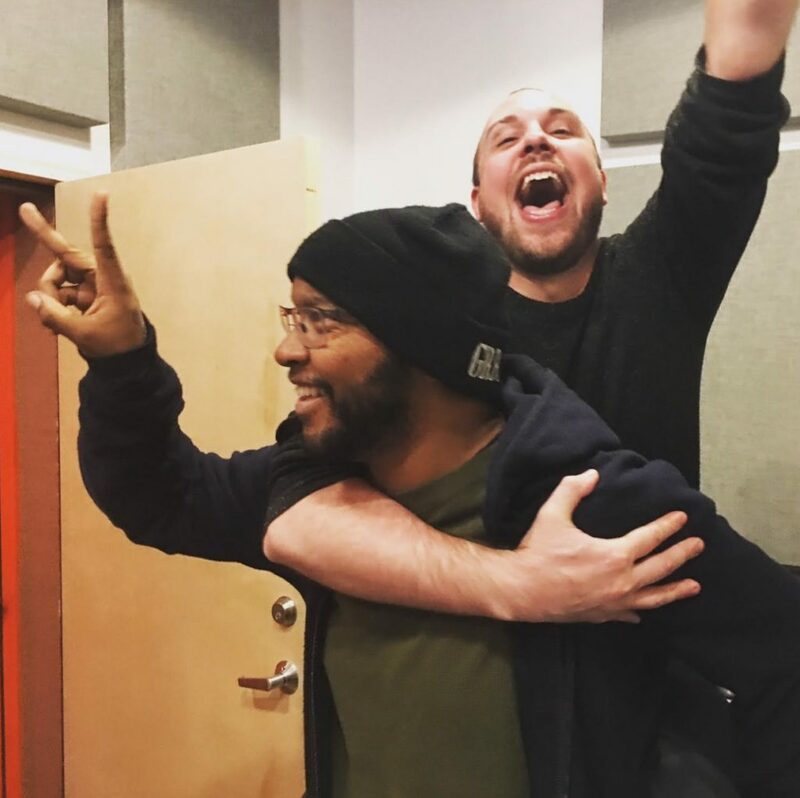 And now for a bonus pic of Stef and myself continuing to celebrate ever since we knocked out the final audio masters a few weeks back. Any excuse to use this picture really. It’s been a long couple of years piecing this beast together and I’m so thrilled that we’re finally able to start sharing it with the world. 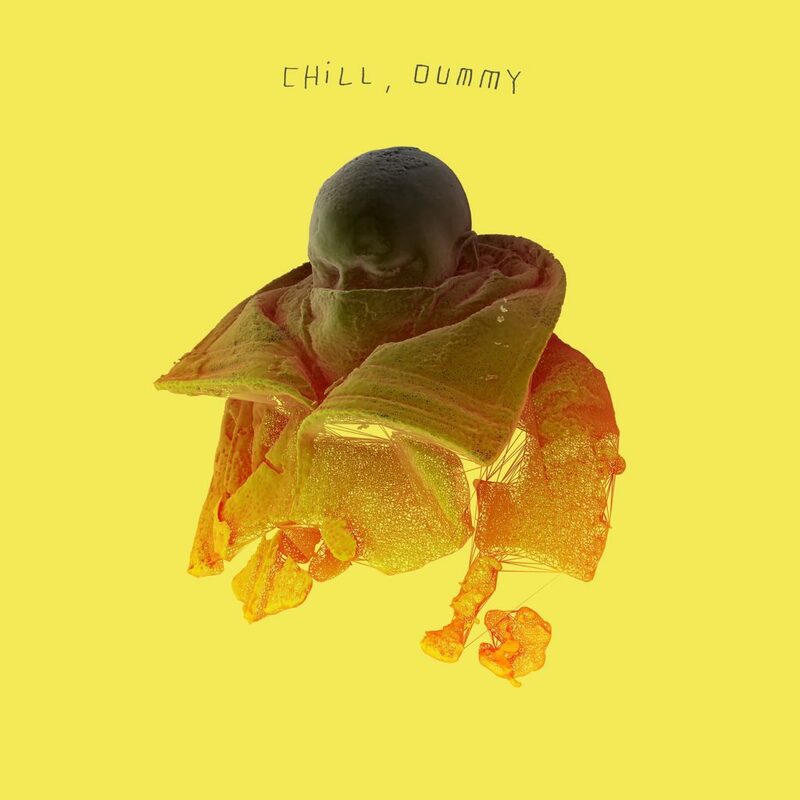 I’ll leave you with some very topical P.O.S Bonus Jams from Chill, dummy. Check out brand new song “Lanes” below, along with previously released singles “Wearing A Bear” and “sleepdrone/superposition” which have all found their way onto the album. HEATERS! Alright, that’s probably about all the excitement I can take for one post. Here’s a pic of that sweet album cover one more time for good measure just so it can really settle in that there’s going to be a new P.O.S album on Doomtree Records in January. Now go grab yourself a copy of Chill, dummy right HERE and help us unleash this awesome announce news all over the world. Thanks a million as always for your continued support. Team The Best Team 4 LYFE!